Trouble stirs in Dunador! The King lies dead of a wound received during a hunting expedition. His brother, Lord Edrin, challenges the rightful Crown Prince, a half-trained young man named Edmund, for possession of the throne while Edmund travels on a pilgrimage to the holy shrine of Nevron. Forces throughout the kingdom vie for control of the realm. Can the player characters find the Crown Prince and protect him from the treacherous forces at large in Dunador?" The N series of modules for Advanced Dungeons & Dragons runs from the sublime N1 Against the Cult of the Reptile God by Doug Niles to the horridly bad N2 The Forrest Oracle which will be getting a good hacking blog entry soon. 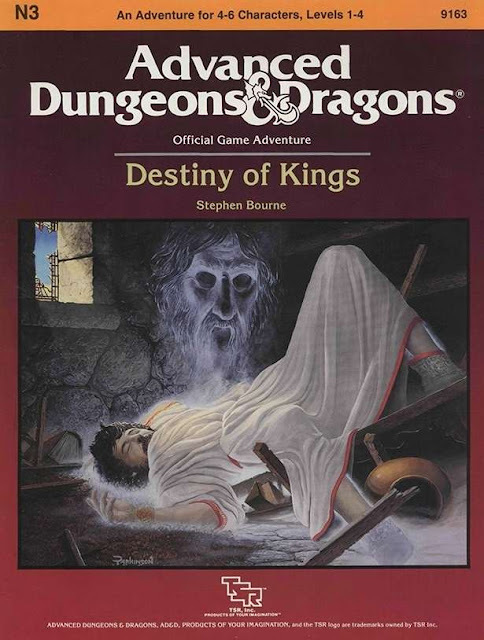 Instead today I want to talk about N3 Destiny of Kings by Stephen Bourne. N3 Destiny of Kings is a bit of a change up from the usual dungeon crawl for a low level party. Graham Staplehurst sums up N3 Destiny of Kings quite nicely; "Graham Staplehurst reviewed N3 Destiny of Kings for White Dwarf #80, calling it "a well-planned adventure for a medium-sized, low-level AD&D party”. 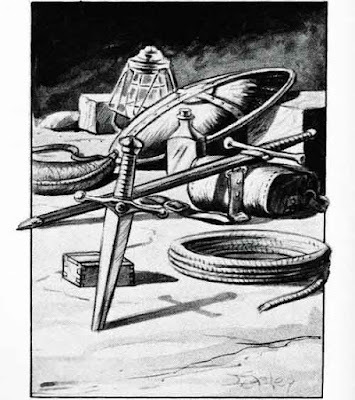 He considered the adventure particularly appropriate for an inexperienced or novice party, as very experienced players "may find it a little sparse on the intrigue and cloak-and-dagger side". Staplehurst found a few bugs in the text, although he felt the module was well introduced, with useful aids such as a glossary of names and places and a plot synopsis." The very generic nature of the adventure setting of the module N3 Destiny of Kings allows for a much richer & somewhat different adventure experience because Destiny of Kings doesn't have a dungeon. Instead the plot is woven around the events of the PC's embroiled in the adventure plot. "The party must find the prince of Dunador and return him home safely. Elements of investigation and intrigue thus find their way into the game." So I already see the emails saying what this is bland & boring module because there isn't any dungeon crawling. Well in fact the party of adventurers is going to find themselves in the thick of a royal plot involving the affairs of the prince of Dunador! But where the Hell is Dunador? Wherever you want it to be! The whole of N3 Destiny of Kings is great excuse to get a mid level adventuring party into the affairs of royals. In fact the whole adventure could be used as a perfect excuse to have the player's PC's to the edges of an empire where Dunador is located perhaps near the edges of a Holy Roman Empire setting. 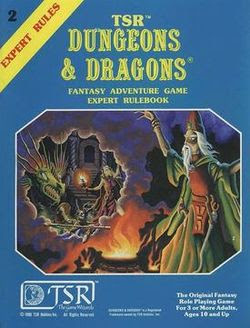 Yes N3 is an Advanced Dungeons & Dragons 1st edition title adventure but with almost no effort it could be used for B/X Dungeons & Dragons with little effort. The whole royals affair angle of N3 Destiny of Kings could be the perfect excuse to get the PC's involved in the business of royals & their issues with cloak & dagger affairs. On the whole N3 Destiny of Kings might seem unremarkable but its got a lot to offer the DM whose players are getting sick of the same old dungeon crawl routine. Go down into the dungeon, slay monsters, grab treasures, & gain XP. Here the goal is to keep the prince alive & out wit the forces of darkness on the whole it doesn't sound exciting but placed as a side adventure N3 Destiny of Kings can be a wholly fun adventure romp. It makes a great campaign jump off point & there are certain aspects of N3 that can be twisted to create some very deep seated long game aspects. N3 Destiny of Kings can be used to help flesh out Dunador as an entire kingdom or place waiting for the PC's to go up in levels allowing them to take the midlevel kingdom waiting for their steady hand to take it over. There's also the promise of N3 where the kingdom of Dunador is the perfect PC base to launch the player's careers as mercenaries or sell swords within the campaign. There is enough in N3 Destiny of Kings to see that the PC's are going to want to be the ones calling the shots within the kingdom soon or later. All in all N3 Destiny of Kings needs some work to fit into an old school campaign but its a solid start for an old school adventure!